Say “hello” to sunny Florida! Whether you are a Florida resident or you’re just looking for somewhere warm and fun to bring your cheerleaders for a national cheerleading competition, it is time to contact WSA and sign up for our Florida competitions. Your athletes have been training hard. Now that those stunts are solid, their jumps are sky-high, and their tumbling is looking better each day, it’s time to let them take the mat and show the world what they can do! And, you know that they will have the time of their lives soaking up that Florida sun! Each and every one of our all star competitions has been designed to showcase your athlete’s abilities. 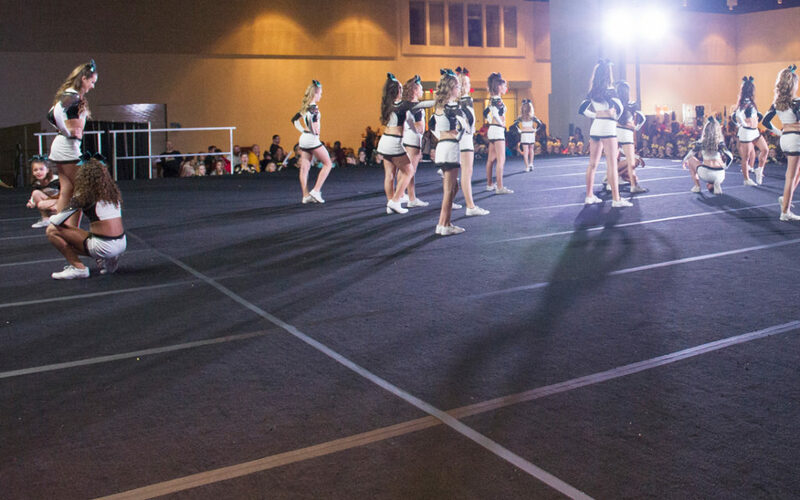 Our mat is ready to go, our music is loud, and our lights will highlight those smiling faces as they hit their routine. Whether you are bringing your experienced All Star teams or are bringing All Star Prep athletes to center stage for the first time, WSA is the event organizer to call. Your athletes deserve the very best, regardless of their level – that’s why we offer this amazing opportunity for levels 1-5. Make sure the parents and kids know the best places to stay during their great Florida cheerleading adventure and check out our hotel listings today. Each of these hotels is close to the competition venue, so you can spend your time enjoying the sites and the competition without worrying about going from one side of the city to the other. If you are ready to register your athletes, give us a call today!